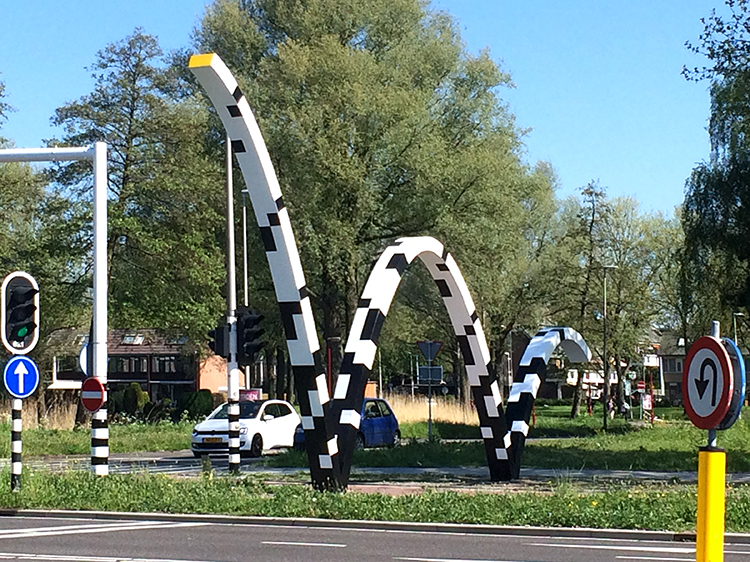 Bounce (De Stuiter) is a public sculpture commissioned by municipality of Zoetermeer that marks the entrance to the city through the neighborhood Buytenwegh. 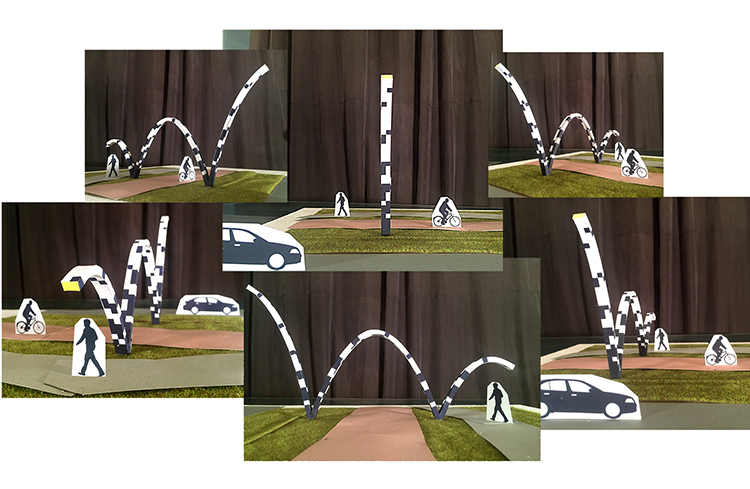 A giant bouncing ball crossing over the road and entering the neighborhood was my inspiration for this work. 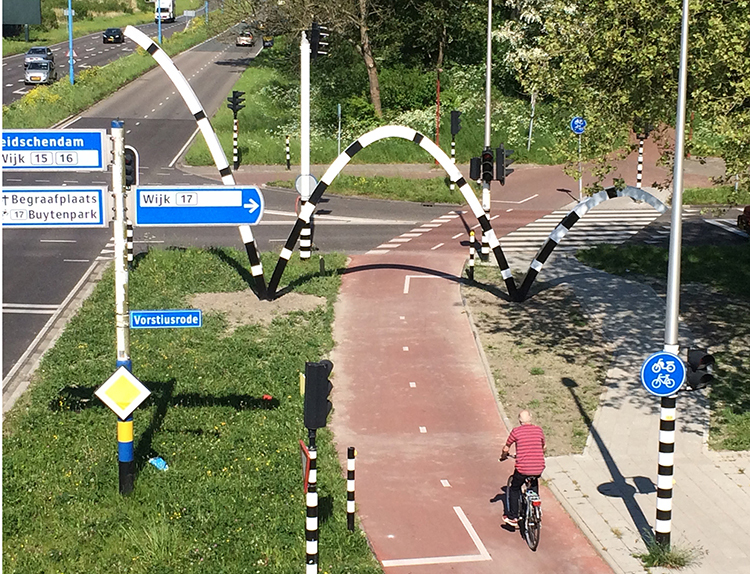 The sculpture shows the trailing fragment of a bouncing movement over the road, and its different formal qualities reflection it’s exact position: the arch of the bounce functions as a gate for cyclists and pedestrians, while the black and white colors are derived from the numerous striped traffic poles present on the location. 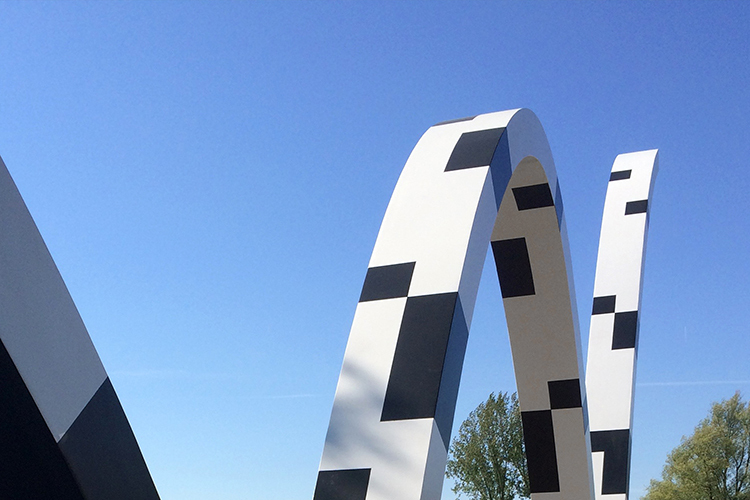 The pattern itself is inspired by two different rhythms. The one of the bouncing trajectory, and the other which occurs in music as in the Buytenwegh neighborhood all streets are named after musicians and musical references.